I mentioned our America trip a hell of a lot on my Instagram but I’m still yet to blog about all of our destinations; they’re on my ‘to write’ list! But today I’m just going to highlight a few of my most favourite moments that happened on that amazing two-week holiday. So, I will be writing a full post on how I felt about NOLA as there was a ton of mixed feelings, especially about the nightlife there, but it does make it onto some of my favourite moments. We had an awesome group of six of us and our tour guide that hung out whilst in NOLA, so we hit up some pretty awesome bars and venues. We started off with a few drinks in our amazing hotel, The Troubadour, as we stopped off at an amazing craft beer shop on our way into town so I stocked up! From there we then went on to the Halloween Street parade, caught some beads, and then moved on to get Hand Grenades which is a total must when you’re in NOLA. 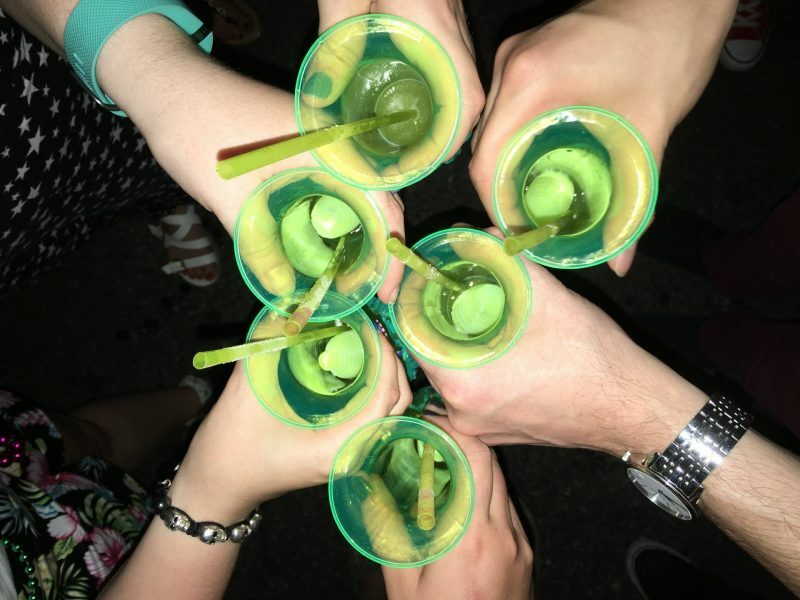 It’s a neon green cocktail that is made from that originates from the prohibition times in America. From there we wander Bourbon Street, stubbled upon Lafitte’s Blacksmith Bar where I could finally try a Voodoo Daquiri. We danced in the streets, sung with the bands that were spilling out on the street and had a bloody good hangover the next day. We ended up going on a Dr. Wagner’s Honey Island Swamp Tour on a spare of the moment kinda thing. Our group took a vote on your drive down to New Orleans to make a stop along the way so we could do the tour. I’m so glad our group voted that way and I’m so glad I got on the boat as I was pretty darn scared to start with. 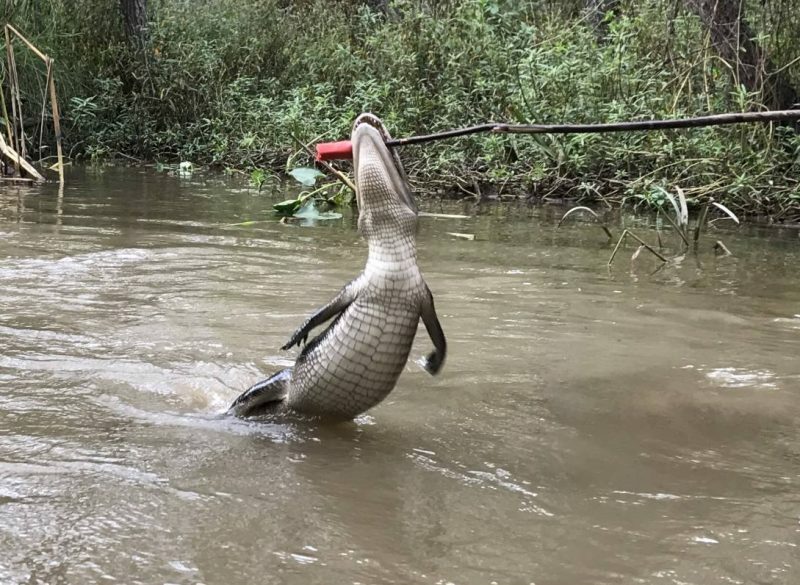 We saw so much wildlife that it was actually unreal; we saw plenty of turtles, a few snakes, two boars, so many alligators and to top it off we saw an American Bald Eagle! Our boat leader even fed the boars and alligators which was incredible to watch. Mike and I ventured away from out trek group and headed out to the Kennedy Space Centre for a day. 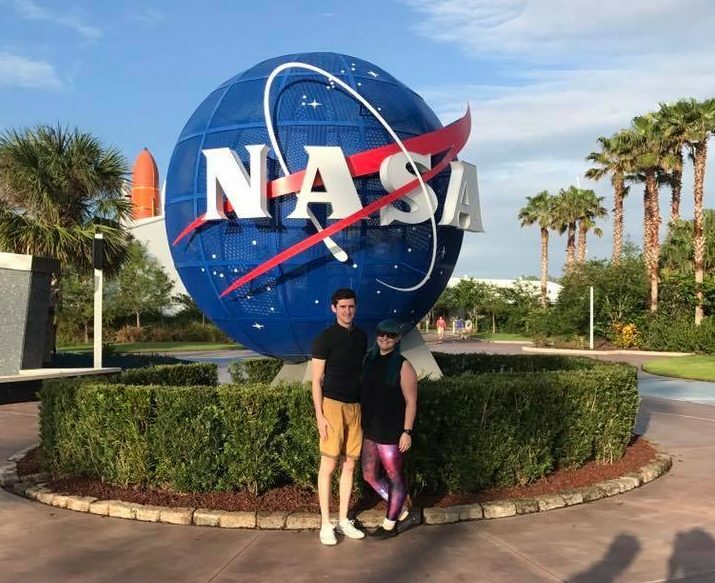 We had such an incredible day meeting astronauts, touching moon rocks, seeing spaceships that have actually been into space and learning so much that I’m not sure we quite took it all in. I think this could be one of Mike’s most favourite days as I’ve never seen him so happy as when we picked up our tickets and walked on through the gates! You can read about out day in full here. 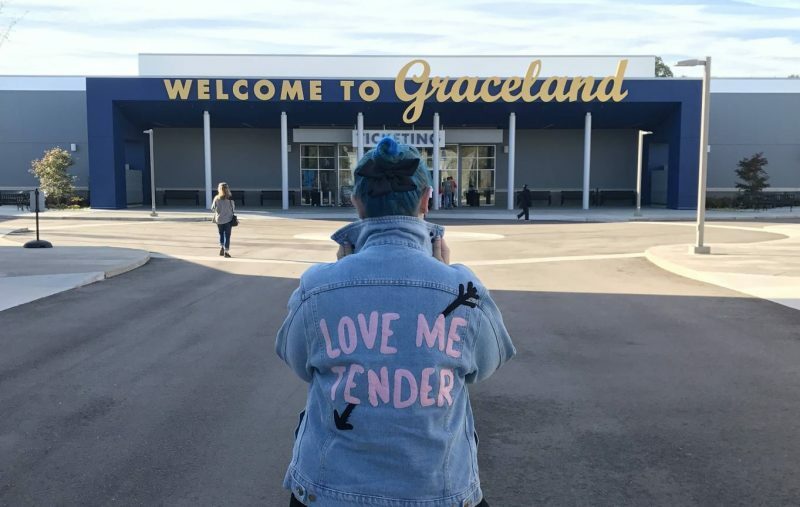 Obviously, my most favourite day of the trip was getting to visit Graceland; it’s been something I’ve dreamed of for years and never thought I’d actually make it there. Even to this day I still pinch myself whenever I think about the day to make sure I didn’t dream it! I did the Ultimate VIP Tour that cost around $150 but was more than worth every penny. I spent nine hours absorbing every single fact and room I could. I shall be doing a full post in this soon! Despite having the best two weeks, we’ve decided to stay a little closer to home this year and maybe try somewhere like Tenerife to grab some late summer sun towards the end of the year. "Guide to Pest-Proofing your Garden Decking *"
"How #SkiSafe Are You When You’re Out On The Slopes?! *"
This sounds like the best holiday ever! I wish I’d got something like this booked.